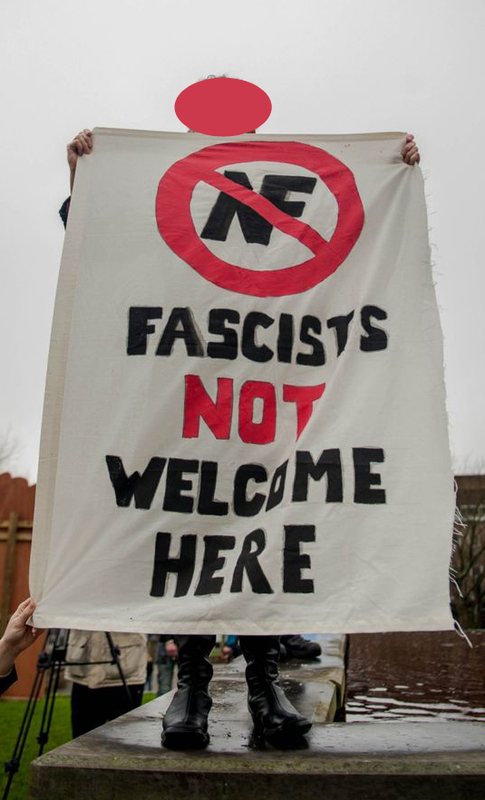 It was a busy weekend for anti-fascists with people opposing the EDL in Leeds, Leeds AFN holding their own demo in Rotherham and anti-fascists joining a pro-Kobane demo in London opposing a Turkish business ball at the Savoy. However top news of the weekend was a victory in Cardiff over the ‘Welsh Alliance’. 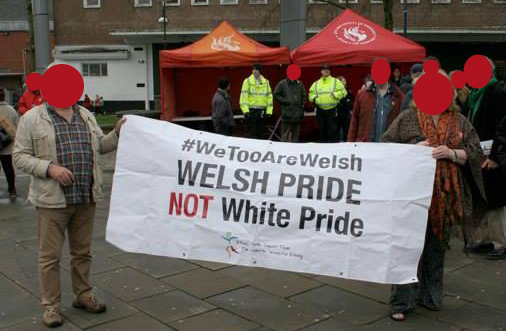 The Welsh Alliance appear to be a new incarnation of or split from the Welsh Defence League. 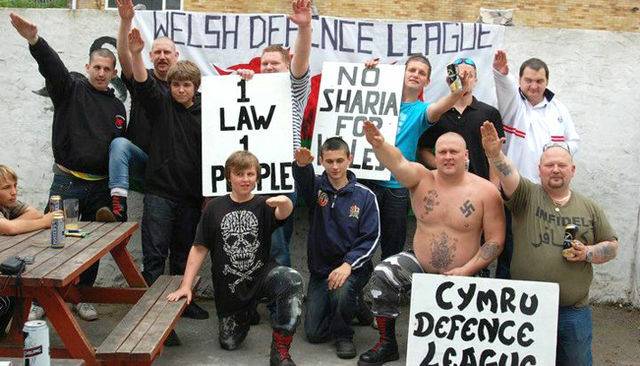 Their claims not to be racist are slightly undermined by the Welsh Defence League having been famously stuffed full of out-and-out fascists such as notorious Swansea Nazi Luke Pippin. And on Saturday, lo and behold Luke Pippin surfaced as one of the leaders of the Welsh Alliance. Not for long though, as within minutes of leaving the pub he was arrested for shouting verbal abuse and using threatening behaviour. Their barrel-scraping ’Alliance’ consisted of about 30 racists and that includes shipping in plentiful support from across the border. 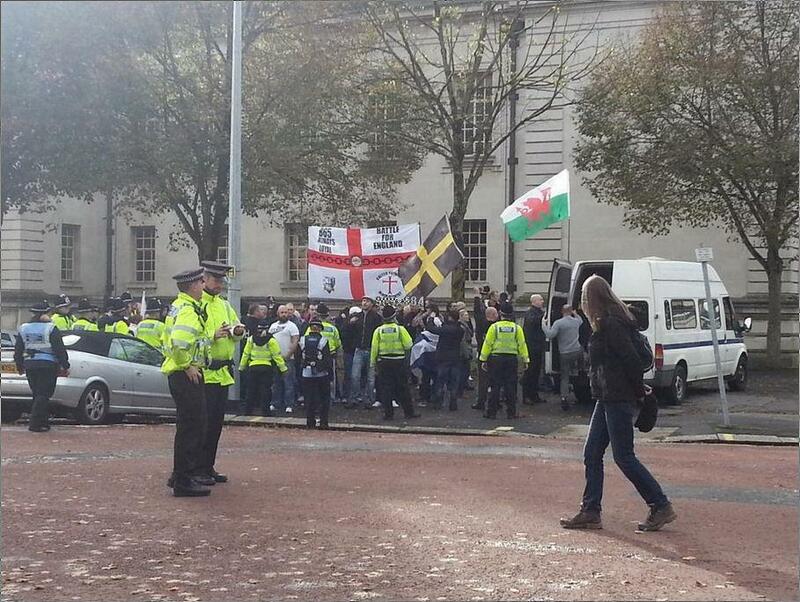 Funnily for a demo in Wales, their most prominent flag was a large St George’s cross saying ‘Battle for England’. Shurely shome mishtake? 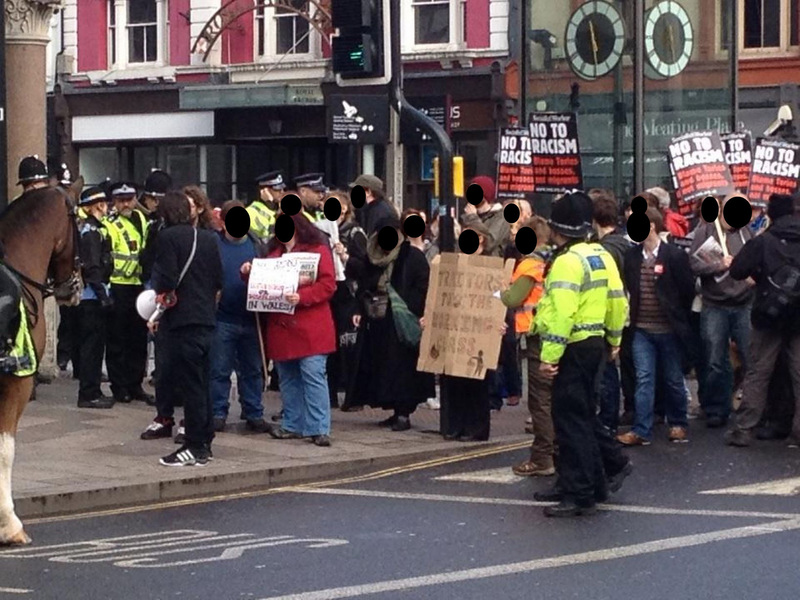 Even though anti-fascists only mobilised at short notice a week in advance, they still outnumbered the fascists 2 to 1. Due to the scale of opposition from anti-fascists, the fascist march was impeded all along its route, stopped in its tracks several times and was forced to be rerouted round the back streets. They had planned to march from the train station up the High Street for speeches at the City Hall. They were eventually forced to have their ‘rally’ in a back street by the police station, where they were drowned out by anti-fascists. However unhappily at the end of the march, the counter-demonstration was kettled while the fascists were allowed to disperse to drink in city-centre pubs, including the Wetherspoons Prince of Wales which happily served them but ejected anti-fascists. One anti-fascist was arrested and released without charge. 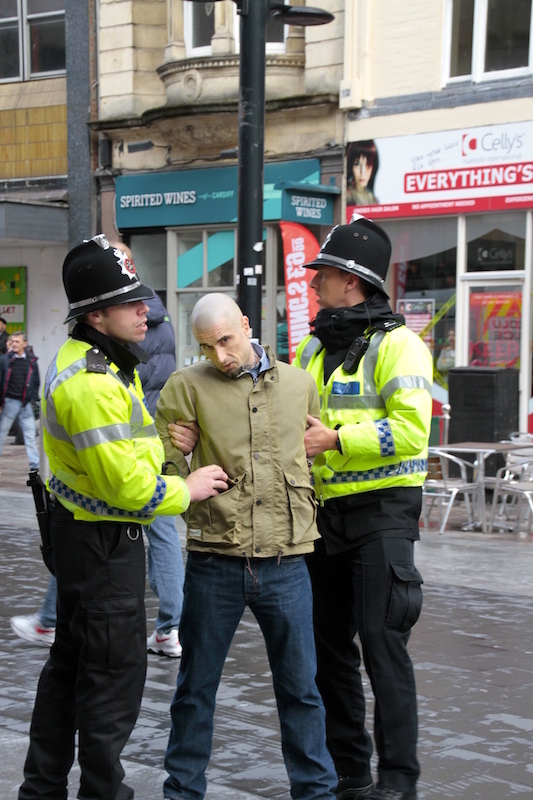 The fascists’ leader was arrested, they failed to spew their racial hatred at the people of Cardiff, they were invisible within a police kettle and were forced into the back streets by strong opposition. Result for anti-fascists in South Wales! Upcoming benefit gig for our comrades in South Wales Anti Fascist Action! Capture the Flag round 3! 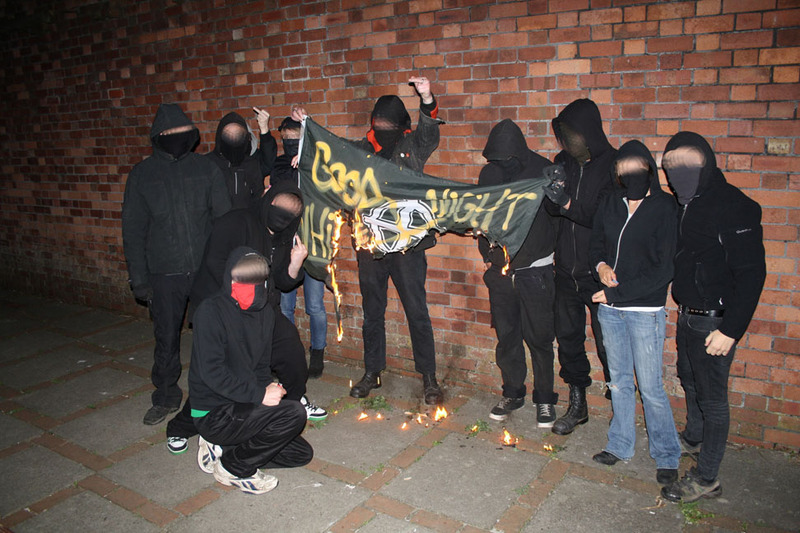 Following previous victories against the British Golden Dawn in London and the EDL in Exeter, we now have a third result in our ongoing game of anti-fascist capture the flag. At the Swansea ‘White Pride’ demonstration on April 5th, anti-fascists from Bristol ran out from the crowd opposing the fascists and seized one of their Celtic cross neo-Nazi flags. 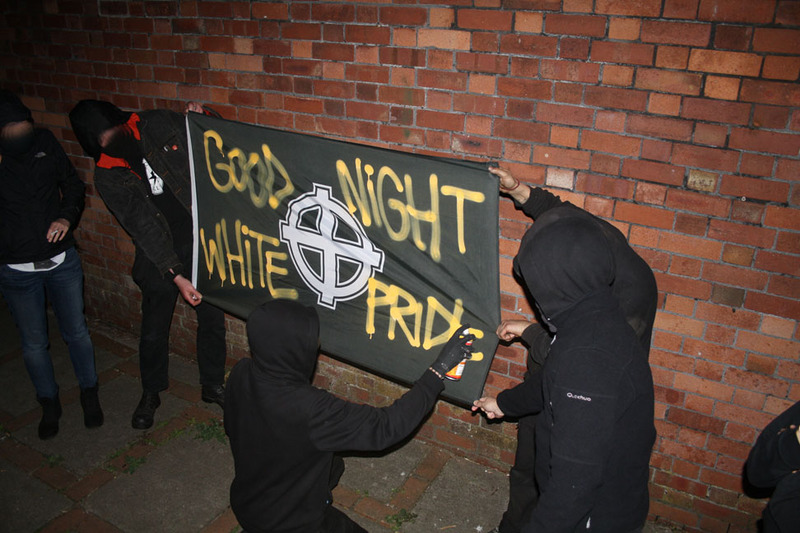 In Swansea on Saturday extreme right-wing National Front “White Pride” demonstrators numbering about 40 were opposed by a crowd of 100-200 anti-fascists. 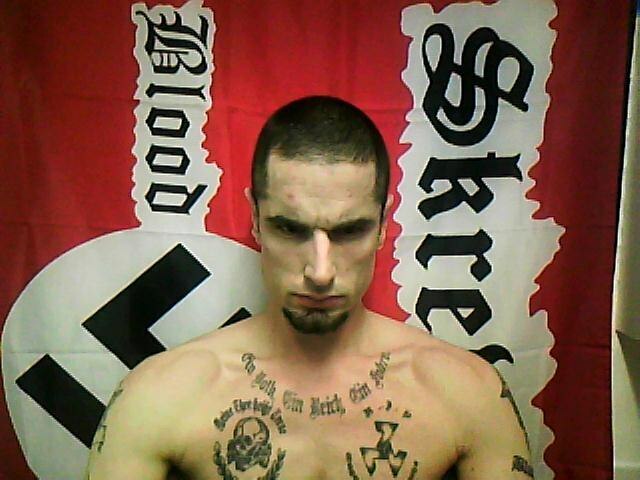 Swansea for some reason seems to have become the unfortunate venue of choice for this neo-Nazi celebration. Last year the demo was followed by a Blood and Honour gig at the Valley Commandos Motorcycle Club (which drew much larger crowds than the demonstration). This included dressing in Klan uniforms and a mock-lynching of a golliwog, for which Christopher Philips got himself imprisoned. This year there seems to have been no repeat of the gig, meaning the Nazis merely ‘marched’ about 60 yards from the pub for their rally before finding themselves served with restrictions by police, and being ordered to disperse after only an hour. They then skulked in various city centre bars before getting on the train out of Swansea. 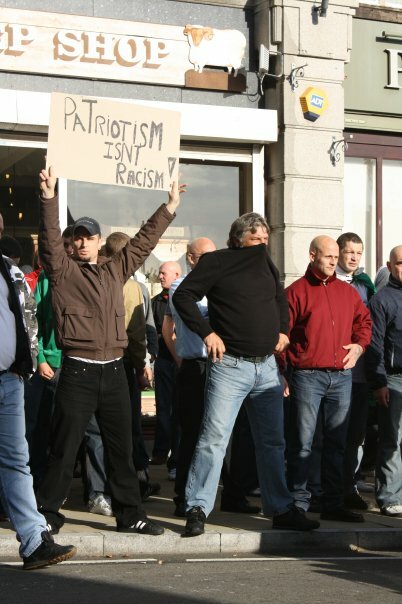 With this far-right demonstration there was no ambiguity about whether these people were perhaps just ‘patriots’ and not really racists after all. These were totally unreconstructed white supremacist Hitler-worshippers. Their demo was called in the name of the National Front. Although today shrunk to a tiny remnant of the numbers it could claim in it’s late ’70s heyday, the NF is still one of the longest running and most notorious far-right organisations in the world. There was confusion when Swansea UAF who had been mobilising to counter the NF, at the last minute declared victory and called off the counter-demo, encouraging their supporters to go to Cardiff for an anti-bedroom tax demonstration instead. They claim this was based on assurances from the police (which the police have since “categorically” denied they ever made) that as the NF had not agreed to any of the locations provided by the council for their demo that they would not be allowed to meet. This shows once again the foolishness of relying on politicians or the police to stop fascism for us. The NF had said nothing about calling off their demo and so even assuming they were not to be allowed to demonstrate officially, a large crowd of fascists could reasonably be expected to be turning up in Swansea. It is vitally important to show large scale public opposition to the far-right – perhaps a better response would have been to go ahead with the anti-fascist mobilisation anyway and if no Nazis showed then turn it into a victory rally. Swansea UAF have now said that “next year (if they choose to come back) we will organise a counter protest in Castle Square and under no circumstances will it be cancelled”. In any case activists from the Socialist Party, Swansea Trades Council, Llanelli Trades Council, South Wales Anti-Fascist Action and other groups turned out to oppose the fascists and outnumbered them 4 times over. Numbers on both sides were down – last year saw about 60 fascists opposed by 400 or so anti-fascists. So it’s good news that there are half as many white supremacists than last year. No doubt the lower numbers on the anti-fascist side can be attributed to the confusion over the UAF mobilisation being cancelled at the last minute. The two sides were mostly kept apart by the police until near the end of the demo when up-for-it anti-fascists made an audacious raid through the neo-Nazi ranks and snatched one of the ‘White Pride’ flags. A number of boneheads gave short chase and for a moment there looked like a possibility of a major outbreak of trouble, as other anti-fascist protestors ran towards them. This incident ended in a couple of anti-fascist arrests and a possible arrest of a Nazi. The fascists hid in a couple of city centre bars – Ice and then Static, where anti-fascists kept watch from behind a police cordon. 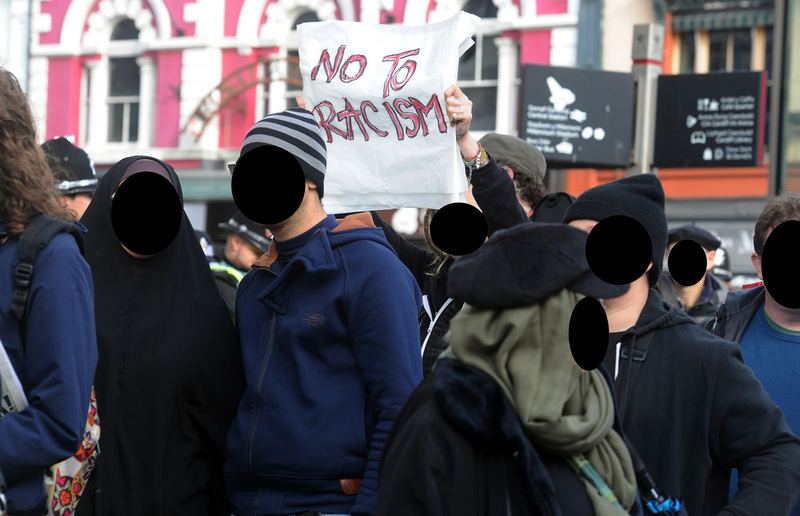 A phone blockade was organised, and the bar’s management in Bristol responded by travelling to Swansea in order to have the racist crowd removed. The NF were then quickly marched by police to the station and made to get on a train. Well done to all who stood up to oppose the Nazis!